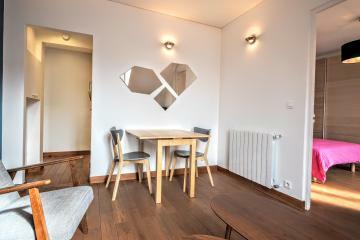 A large living room and 2 separate bedrooms with bathroom and toilet each, for this beautiful Parisian apartment located in the heart of Paris, between Montorgueil and Marais districts. 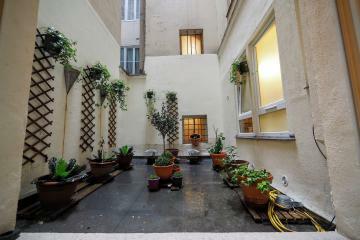 It offers a large balcony with a nice view on Sebastopol Boulevard. 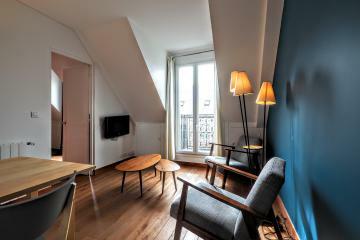 The apartment is located on the 3rd floor with elevator of a typical building of the district (Note that the elevator starts on the 2nd floor). 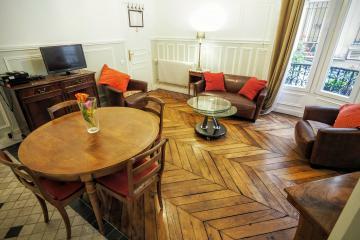 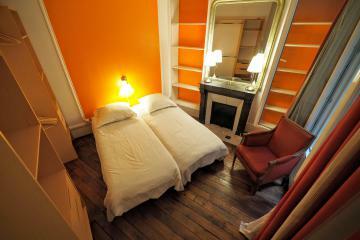 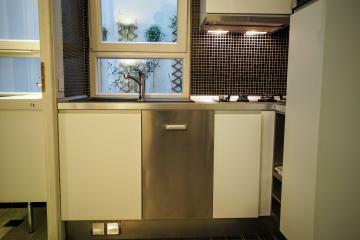 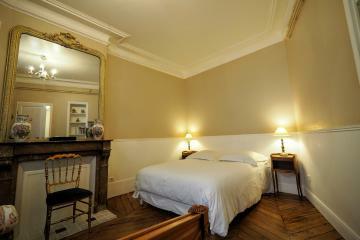 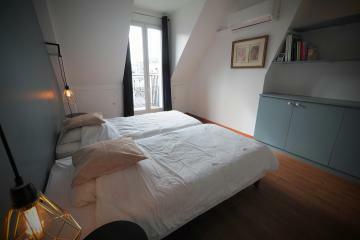 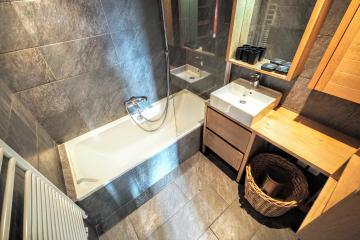 It has been fully equipped for long term rentals in Paris and offers all the necessary comforts. 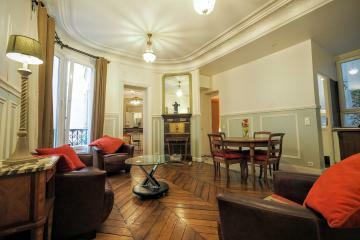 3 th floor, with Lift, 2 bedrooms Appartement, furnished, Approx: 58m² / 624 Sq.Ft.